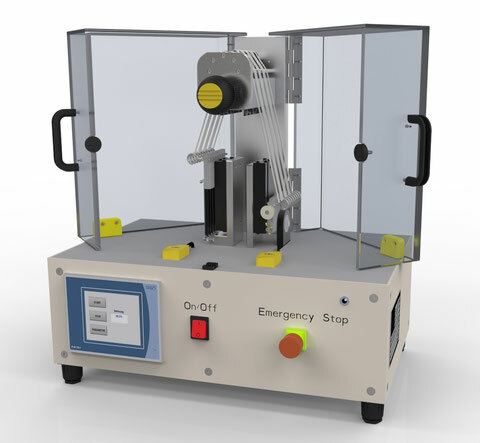 The floss abrasion tester allows comparative study of dental floss materials for strength and abrasion at constant experimental conditions in the laboratory. The floss is moved with a specific load several times on a polishing paper. The polishing paper is mounted on an idealized tooth. The device includes the cleaning movement mechanism with the fastening of the floss and an idealized molar tooth with polishing paper and clamping . On the front are the display and controls. The speed and the number of cycles can be adjusted.